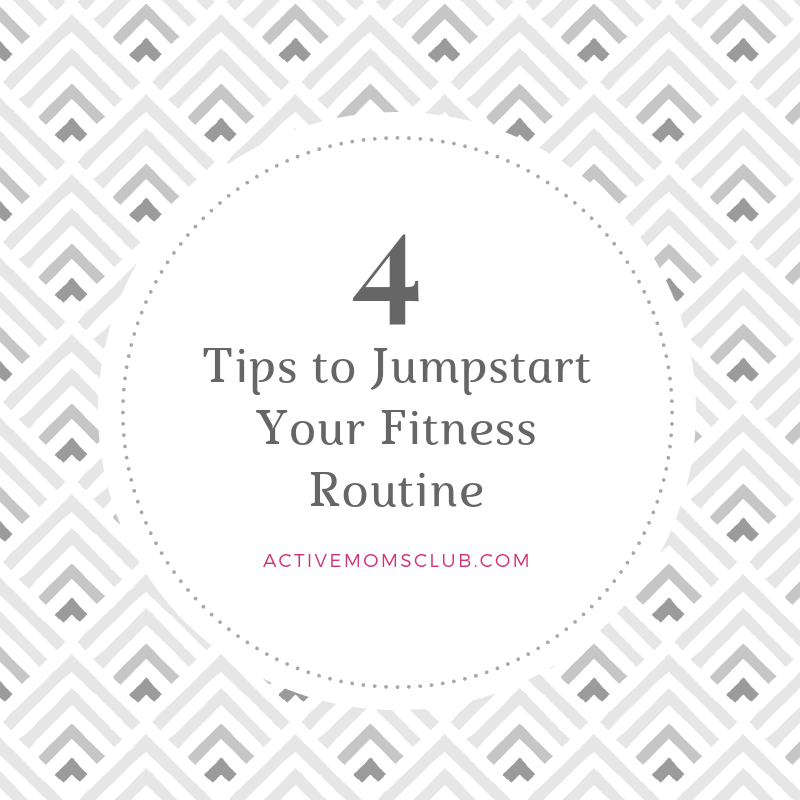 Helping mamas establish their personal workout routines is one of my favorite things about being a fitness coach. I get it. Moms’ schedules are busy. We are pulled in 1001 directions—and let’s face it, we don’t tend to put ourselves on the top of our priority list. Our fitness (and nutrition) habits tend to be affected most. So what’s a mama to do to jumpstart her much needed self-care? Plan. Schedule. Share your intentions. Execute. First thing first. Plan at the beginning of the week to take time in your schedule for your workout(s). Notice I didn’t say, to “find” time in your schedule. No one ‘finds’ time. You have to take it. Inevitable that means something on your priority list will need to shift in order to make something else—in this case, exercise—fit in. My favorite saying, “if it’s important to you, you’ll find a way. If not, you’ll find an excuse.” Now start making a plan. Now that you have planned your workout for the week (if you’re starting from zero, one scheduled workout is PROGRESS! )— book your fitness as you book any other appointment. No cancelation unless dire urgency. 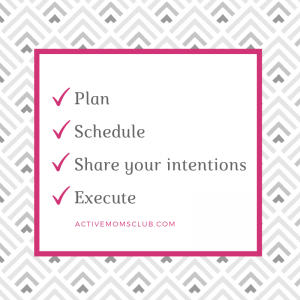 This is the benefit of scheduling a fitness class at local boutique—like Active Moms’ Club, usually there is a cancelation policy if you no-show. Now there’s added accountability if someone else is expecting you to show up! Share your fitness intentions with your spouse and/or family members for their support, and to help protect your self-care time. A supportive environment will help you thrive. If family members and friends knows that exercise is important to you, they will support your needs to be active to take time for yourself. Get it done mama—you planned your workout(s), made it a priority, and scheduled your fitness appointment with the support of your spouse! Show up and be present. Feel your body move. The movement is actually giving you energy. Notice how your mental state changes after you act purposefully and meaningfully. Now YOU’RE in control. You got this mama. One day at a time. Tomorrow be 1% better than you were today. As a busy mama your personal, self-care time is precious. Make the most of your workout and be a part of a supportive mom-centric community with Active Moms’ Club. Our Fit & Fab Small Group Postnatal Training, and Prenatal Small Group Training sessions make exercise fun. Take a test drive for just $25 to experience a session, and be a part of our awesome community.